Support moms by purchasing products they developed and following them on social media! 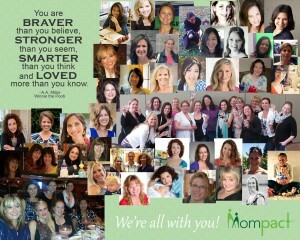 Mompact.com does not sell the products, but we have provided links below to help you find each mom-invented product. Read the stories of mom inventors here. Below is a list of some of the current active Mompact™ Member Companies who participate in our private Facebook discussion group. Mompact members commit to supporting one another by freely sharing resources, contacts, experiences, and advice about developing products and running businesses. If you are a mom with a retail product and would like to join us or be added to this list, please complete the Membership Form. Click the social media links to support and follow these incredible Mom Businesses!